Patients had to come with their own source of light. This is no more. The whole facility is now lit. The solar PV system powers 14 lights. 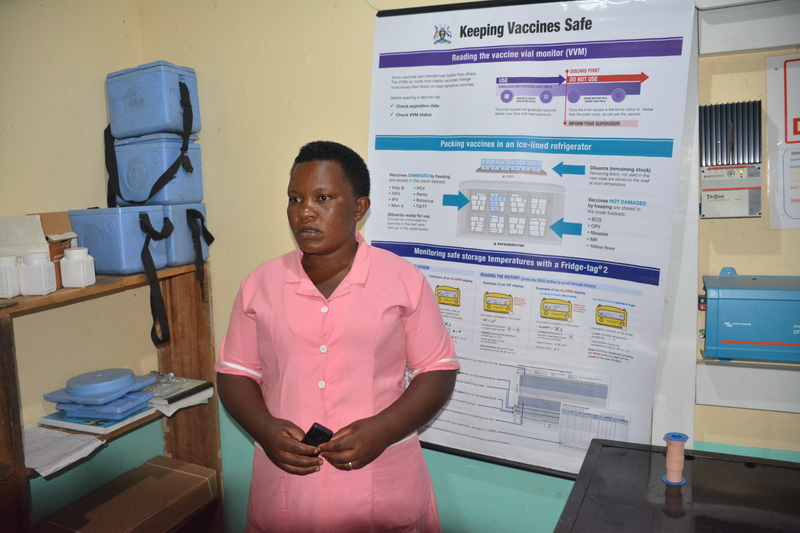 It lights the cold chain room, general ward, post natal ward, the labor suite and also powers four security lights. The community also benefits. People bring their phones here for charging. Before switching to solar, the health facility used gas to power the refrigerator and this posed challenges. The cylinder required periodic refilling and if not done in time, the vaccines would lose their potency. “We no longer need to refill the cylinders. We now have access to power 24 hours a day,” she says. 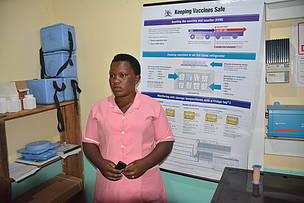 Storage of the vaccines has been made easier. She adds that with access to light, it is easy to administer vaccines in the night. The BCG vaccine is difficult to give in dark. “We no longer find difficulty in administering these vaccines. Putting cannulars on patients to administer lifesaving medicines is also easier. The number of deliveries at the health center has increased. Before having access to power, we could deliver 5 to 7 babies a month. The number has increased. We now deliver 15. During deliveries, we sometimes need to carry out resuscitation if a baby develops asphyxia a condition where a baby is unable to breath. To do that, you need light to assess the baby's colour. Before we got electricity, it was difficult to assess the baby in the dark. When baby is asphyxiated he/she turns blue. When he/she is okay the colour is pink. In a dark environment you can't see. When the baby is not assisted, the condition may become fatal. According to a report by UNICEF, Uganda’s neonatal mortality rate is 21 deaths per 1,000 live births and the leading cause of death is asphyxia. “The risk of a baby succumbing to asphyxia is higher when a place is cold and dark,” says Lydia.